NOTE: Updates to this post will be appended to the end. 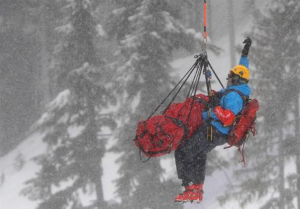 There’s been some reports in the media regarding an issue where all SAR teams in BC have had their long line rescue capability “grounded” or “cut”. Here’s the Global news report, and here’s North Shore Rescue’s Blog on the issue. Some clarifications are in order. There haven’t been any “cuts” as stated in the Global article; this has nothing to do with SAR teams in BC being able to afford the gear (which is expensive, about $35,000 per kit). However, that being said, if you want to donate to any SAR team in BC, please do so; we are nonprofits and all of this gear is purchased through fundraising. Emergency Management BC (EMBC) hasn’t “grounded” anyone per se. EMBC has not exercised any authority to “ground” SAR teams, they’ve been told about the issue, and have notified SAR teams; this is a nuance, but if people think EMBC is the one doing the “grounding” then it can easily be misinterpreted that there is some sort of funding or political issue at play and that is not the case. This is not a case of some serious flaw being found in the equipment or process. The equipment is safe, and properly engineered, and neither the rescue techniques nor the use of the equipment is under attack. This isn’t just SAR teams; the long line capability of all providers in Canada that have bought equipment from a certain manufacturer is affected. This includes agencies such as Whistler/Blackcomb Ski patrol (and other mountains as well), Metro Vancouver uses it for safety, BC Hydro uses it for line inspections, RCMP for emergency response teams, resource exploration companies, and Canada Parks staff. All are affected, and all are currently “grounded”. These are just the providers that I know about, and that I believe are covered under the Canadian Air Regulations (CARS). 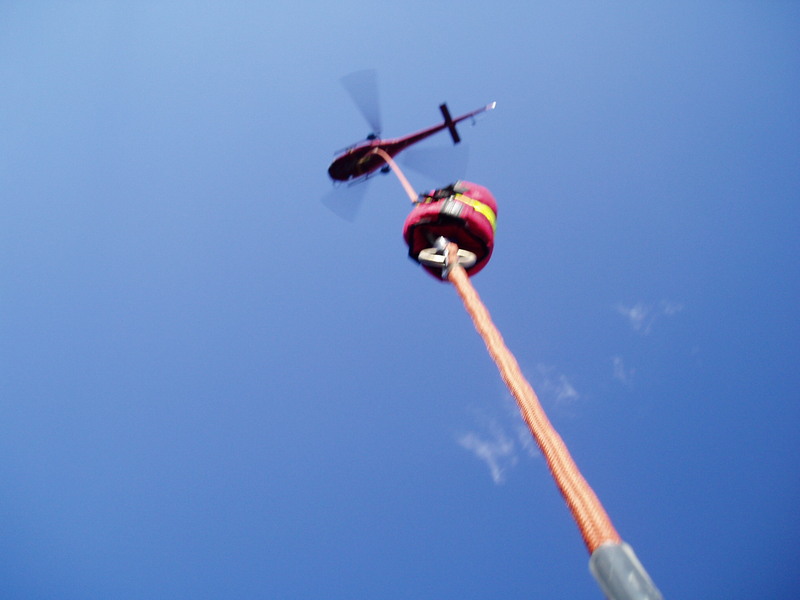 For an example of commercial operations, see the Mountain Solutions page on longline rescue. The Canadian Air Regulations are complicated and opaque to those who aren’t involved in the aeronautics industry day to day, however, this much is clear. The manufacturer of the Long Line equipment in Canada (known under the trade name as HETS (Helicopter External Transport System), HFRS (Helicopter Flight Rescue System) or CDFL (Class D Flight), and to my knowledge the only such provider, has been told that their manufacturing authority is not valid as of 2007. The manufacturer may have misunderstood the situation and made and sold equipment since then. Any of the equipment sold since 2007 is not valid and cannot be used. At the same time, any equipment manufactured before 2007 is expired, and requires recertification. The manufacturer is not able to re-certify the equipment because their maintenance authority is also invalid. This means that none of the equipment made by this manufacturer, in possession of any agency in Canada, can be used. This is a very serious issue. 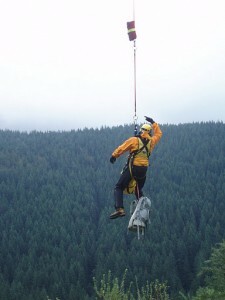 The “market” for Search and Rescue equipment is small, and the market for this very specialized form of helicopter rescue equipment is even smaller. There is only one manufacturer in Canada who makes this equipment, that’s why all of the agencies involved from police, first aid, industrial, and rescue are affected all at once. Transport Canada is the certifying body for aviation in Canada, and they make sure that aircraft and all the equipment on or attached to it, is safe. It is not the place of a politician or the public to pressure a safety and standards organization to change how they do their job. As someone who hangs from this equipment, I want to be sure that it was produced to the proper standards and the manufacturer is certified to do so. If there are hoops to be jumped through and paperwork to be filed, then by all means jump and file; this mundane and irritating stuff is what keeps buildings from falling down, cars on the road, and airplanes in the sky. Let’s let Transport Canada and the manufacturer work this out. In the mean time I’m going to sit back and wait to see what happens. The manufacturer reports that they have consulted with senior staff at Transport Canada and is working on identifying an Approved Maintenance Organization (AMO) to inspect expired kits as a short term solution. North Shore Rescue reports that the issue has been “resolved” but no further information is available. EMBC emails SAR groups in BC with the message that Transport Canada and the manufacturer are continuing to work on a process that will enable existing HETS kits to be inspected by an Approved Maintenance Organization (AMO). Instructions are given for contacting the manufacturer to determine if your kit is “current”. EMBC indicates that Parks Canada is HETS operational (I believe that they have their own AMO) and can assist in Eastern BC, and that the JRCC (Joint Rescue Coordination Centre) has been alerted to expect to fill in for aerial rescue capability — they would presumably respond from CFB Comox to western BC. Notable is the lack of any mention of the ability to manufacture any new HETS equipment. At the EMBC Southwest Regional Managers meeting on Saturday, managers from all of the teams in the Southwest region were updated by EMBC staff on the situation. No new information on the progress towards a resolution was added, just that things were moving forward and an announcement would be made soon. The actions of North Shore Rescue in this matter (see the post on their blog here) have been instrumental in moving this matter toward a resolution, and a word of thanks is owed to their team leader Tim Jones and to the equipment manager on their team. My opinions stated on this blog regarding public pressure (see above) were meant to indicate that I do not think political or public pressure should be used to allow safety concerns regarding the certification of this equipment to be bypassed or reduced, and that all applicable standards should be met by the manufacturer. This is what is happening, with the assistance of Tim, North Shore Rescue and his contact with his member of parliament. North Shore Rescue posts that their kit has been declared airworthy after getting the required inspections from the new AMO, Talon Helicopters. As of this time I have not received official word from EMBC regarding this situation. There are a few other facts I know but can’t report. I also have no word on the other 6-10 (I’ve lost count, sorry) teams in the province with HETS capability and what their status is. Feel free to comment on your team’s status if you like. As of this date, and despite all other reports, at least two Search and Rescue teams in BC with HETS capability are still grounded due to kits that have been declared to be not certified, and have not been replaced. Yes, the NSR post definitely left me wanting for details. Your last point is definitely concerning as we’ve been exploring possibly implementing a HETS program here. If you have any info on an official response from your provincial SAR agency, let me know. I’m interested to hear how other groups in Canada are handling this. What kind of SAR Gear is commonly used up there ? 1 Pings/Trackbacks for "SAR Long Line capability “grounded”"